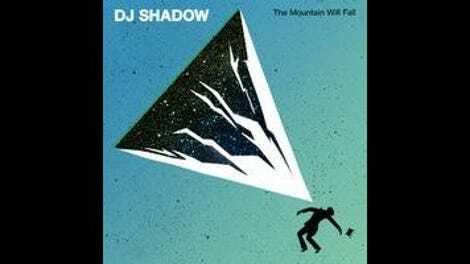 “Hi.” This simple utterance kicks off “The Mountain Will Fall,” the leadoff track from DJ Shadow’s new album of the same name, right before a swell of operatic sound (reminiscent of the theme accompanying the THX logo prior to a movie screening) rises from the silence. This coupling, of the slight and unobtrusive with the bombastic, is a fitting reintroduction for an artist who has made a career of fusing unlikely and disparate components into a unique musical whole. The Mountain Will Fall is the first proper album in half a decade from the artist, and it showcases a confident new direction, largely moving beyond the sample-driven work that first earned him fame. This is a sprawling and ambitious record, cohering in a distinct style, but nonetheless exploring numerous and varied soundscapes on its journey to an eerie conclusion. As always, the beats are the heart of the project: DJ Shadow (a.k.a. Josh Davis) thinks like a drummer, with the rhythms and percussive punctuations dictating the soul of each track. And despite using programs like Ableton Live to concoct his own patterns and samples, the same restless inventiveness that defined Endtroducing….. 20 years earlier is here as well, as he continually twists, cuts, and reshapes the percussion as it progresses, never letting monotony set in. Whereas The Less You Know, The Better felt like last call at the Shadow sample bar, a too-easy-by-half farewell to his original musical methodology, this new immersion in creating original material pays rich dividends. The entire record works as a piece, each individual song contributing to a densely layered but accessible overall experience as rewarding as the experimentation of the Private Press era. Many of these tracks have the hallmarks of great DJ Shadow compositions: a staggered, stuttering drum pattern leavened with endless fills and breaks, as swooping synths flutter in and out, like the title track that practically ends as an inverted version of its beginning. Small vocal contributions dot the musical landscape, as electronic sounds that call to mind an old-school Nintendo game arise one minute, only to give way to lush, Daft Punk-esque keyboards the next. It’s anthemic and meditative at the same time, a DJ Shadow specialty. But the album is also broken up with hip-hop contributions that manage to pair smoothly with the surrounding works, rather than sticking out. “Nobody Speak” is a stellar example, a collaboration with Run The Jewels based around a guitar riff straight from a ’70s blues-rock band, fused to El-P and Killer Mike’s swaggering braggadocio rhymes. Its boom-bap thudding periodically drops out, only to return with renewed intensity on each subsequent verse. Similarly, “The Sideshow” delivers DJ scratches and old-school thump that could easily be mistaken for a Paul’s Boutique B-side, were it not for Davis’ continual tinkering—he drops the beat entirely toward the end, only to build back up with a different rhythm altogether, and the warm scratches of a needle on vinyl. Behind many of the stutter-step rhythms and percussive experimentation lie ambient sound collages, as in “Bergschrund” (a collaboration with German musician Nils Frahm), a tense and jittery soundscape of heavy bass and arpeggiation that would pair well with ’70s horror films. “Depth Charge” treats a guitar riff like an alarm Klaxon, before the beat lurches in and actual siren sounds join the fray. 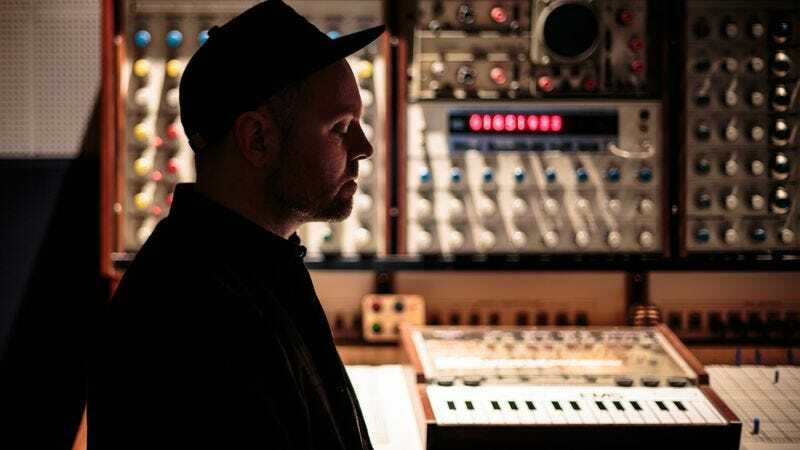 Not everything works—“California” succumbs to a kind of spare, thudding aimlessness, as though the track wasn’t sure what to include and what to lose—but overall, this is DJ Shadow’s best work since his early-aughts heyday. Whatever difficult terrain he had to scale to wrangle this mountain was worth the trip, and suggests even greater ascents in the future.